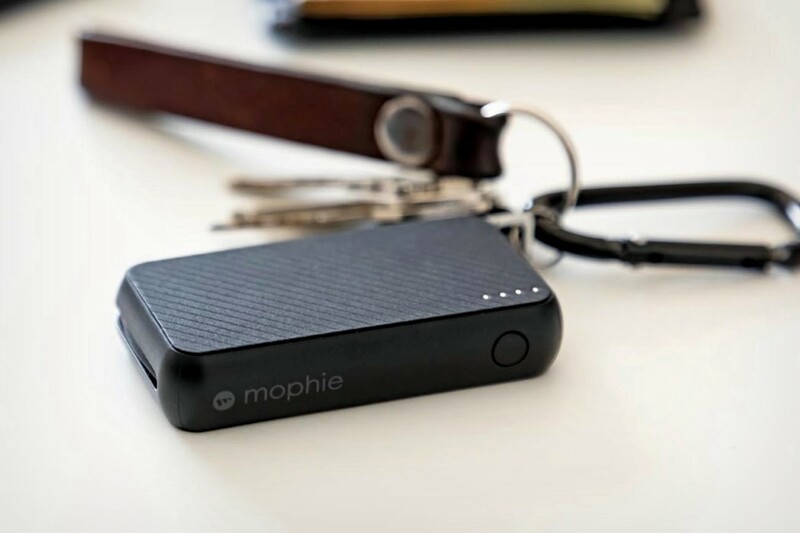 The Mophie Powerstation Keychain gives you one more reason to make sure you’re always carrying your keys as you walk out the door. 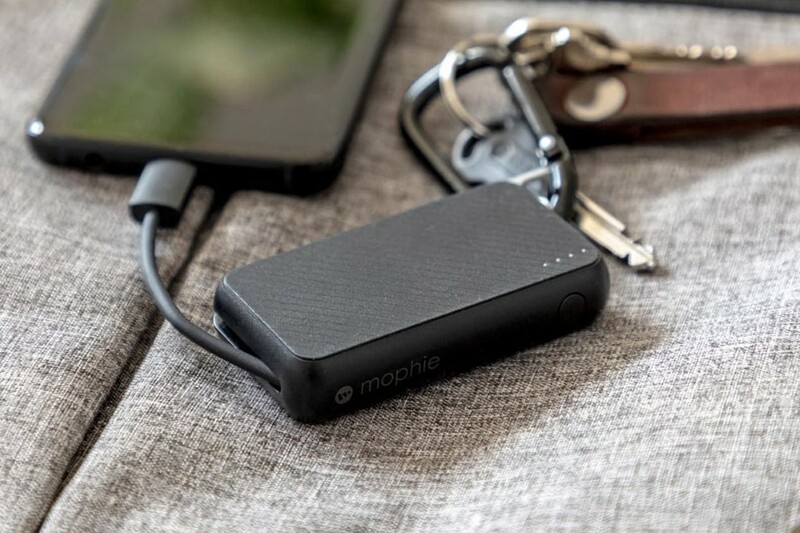 Roughly the size of a remote fob (the kind you find on car keys), the Mophie Powerstation Keychain is a small attachment for your keyring that gives you an instant 1200mAh of juice. 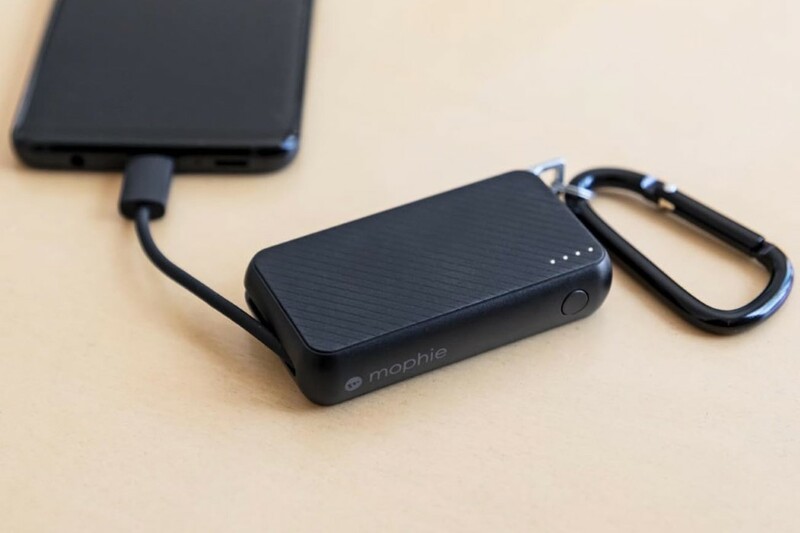 The tiny powerbank sits along with your keys, and in dire situations, can top of your battery by as much as 50%, so you’re not struggling to book an Uber, or call your family at the end of the day on a dying battery. 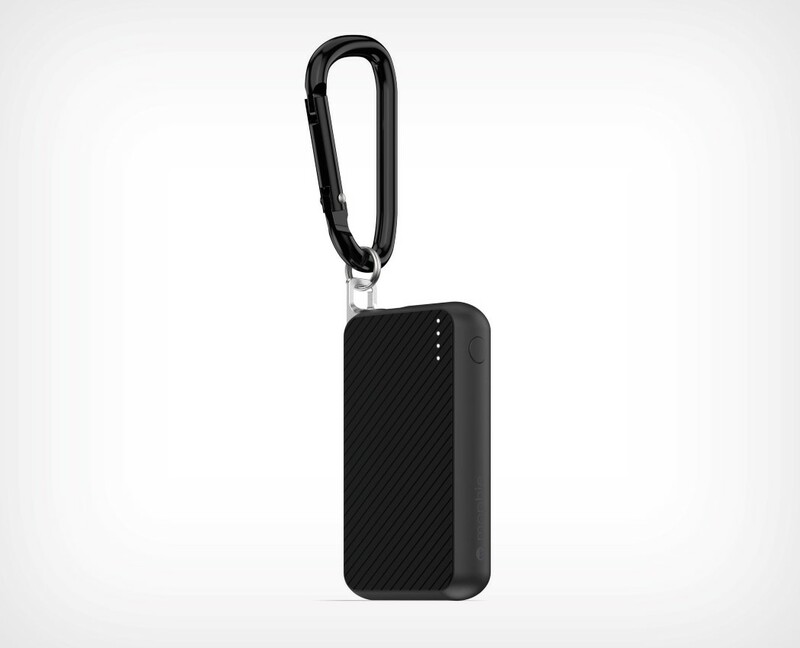 The Powerstation Keychain comes with its own integrated charging cable with a Type-C jack at the end, and even packs a carabiner clip, so you can hang it by your belt-loop, or on your backpack, using it to instantly charge your Android phone whenever you see the battery dropping into no man’s land. 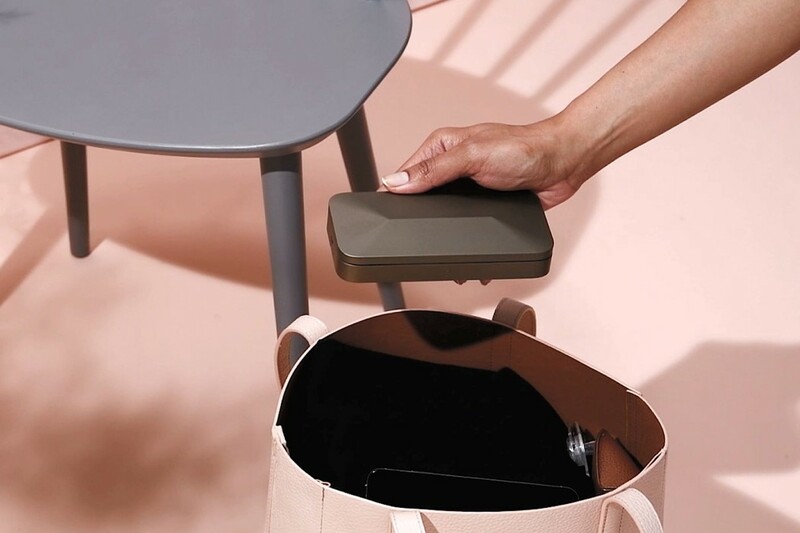 Like a clutch, or a purse, but designed for security beyond compare, this sleek slab of metal is the Trova Go… a carrying case for your things, but much more impenetrable and less susceptible to theft. 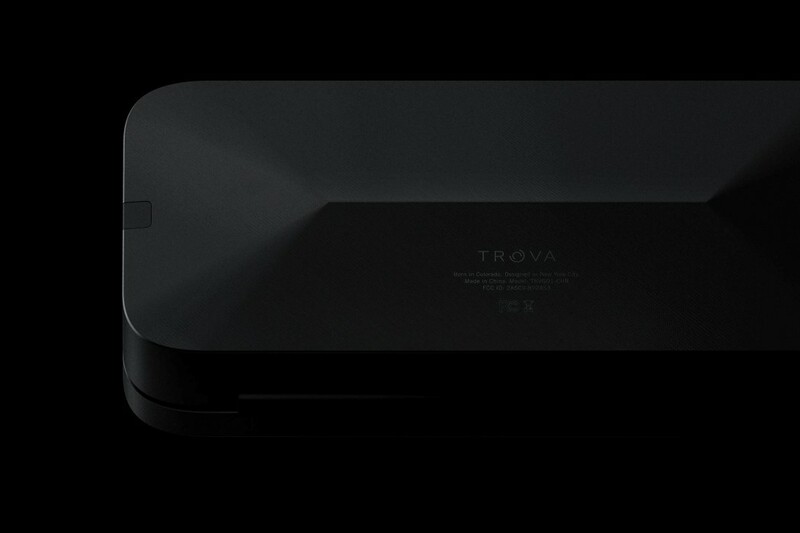 The Trova Go is a pretty neat way to carry your things. 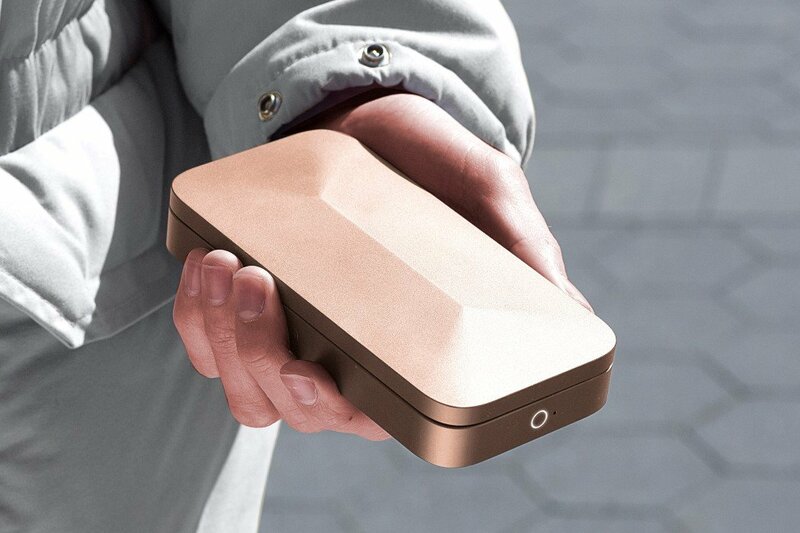 Housed in a sleek, anodized aluminum case, protected by a biometric lock that’s also tied to your smartphone, the Trova Go is a great way to hold your stuff. 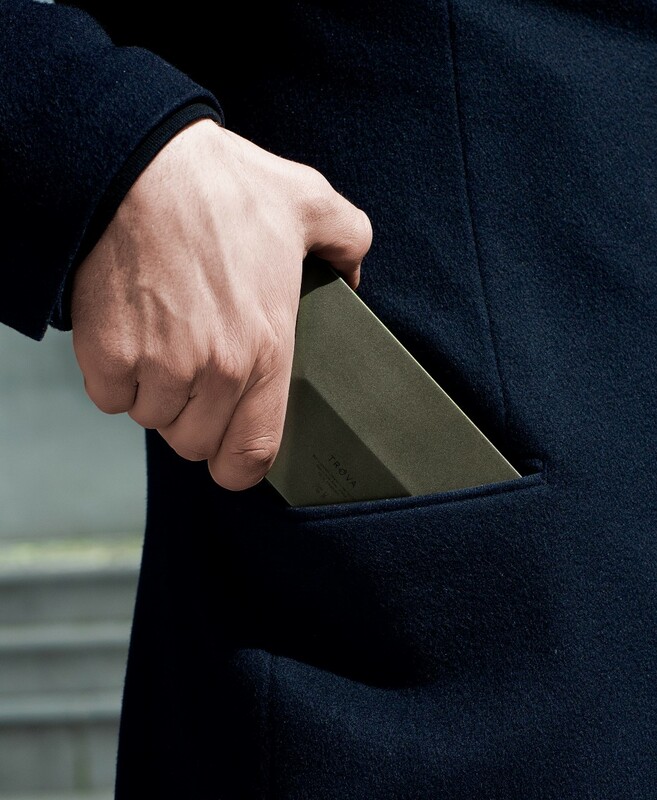 Cards, cash, valuables, medicines, pen-drives, memory cards, make-up, anything that you want to have around you. 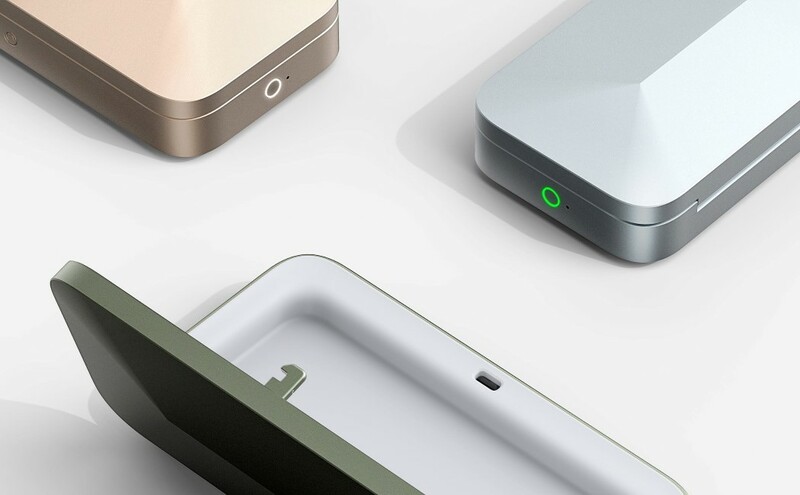 Its small form factor means it can be carried in your hand or even your bag, and its neat, simplistic styling and anodization integrates it aesthetically with your lifestyle. 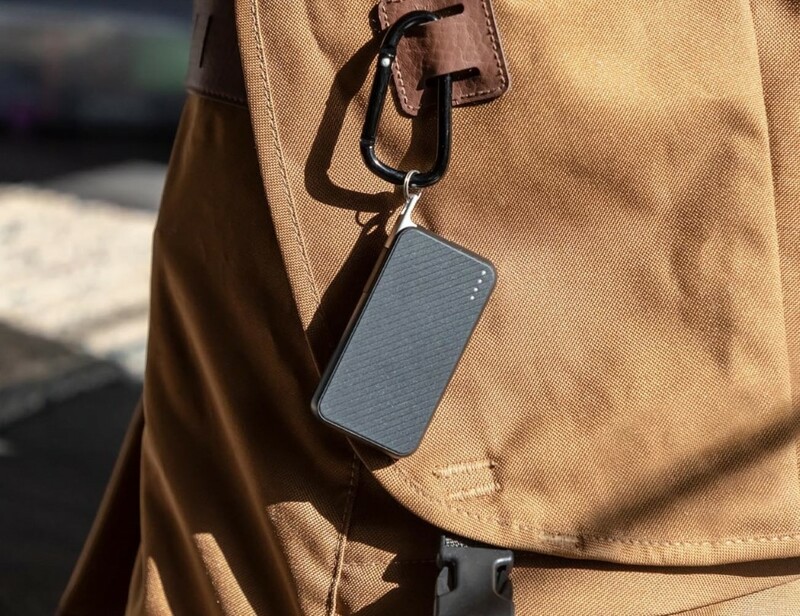 A much cooler and secure alternative to having things in a pouch, wallet, or even your pocket, the Trova Go pairs with the unlock functionality on your phone, allowing you to unlock the case remotely using your fingerprint or even your face. 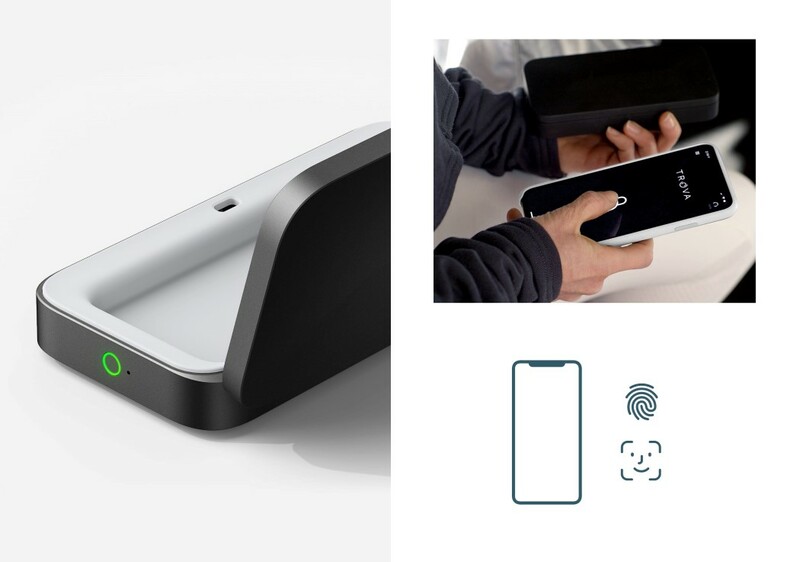 Using authentication techniques we normally reserve for our data, Trova Go brings biometric protection to your real-life things… because just like emails, passwords, and photos, your tangible belongings need proper protecting too! If your question is ‘how many tools in a multitool is too many tools?’, let me tell you, that answer changes practically every month. 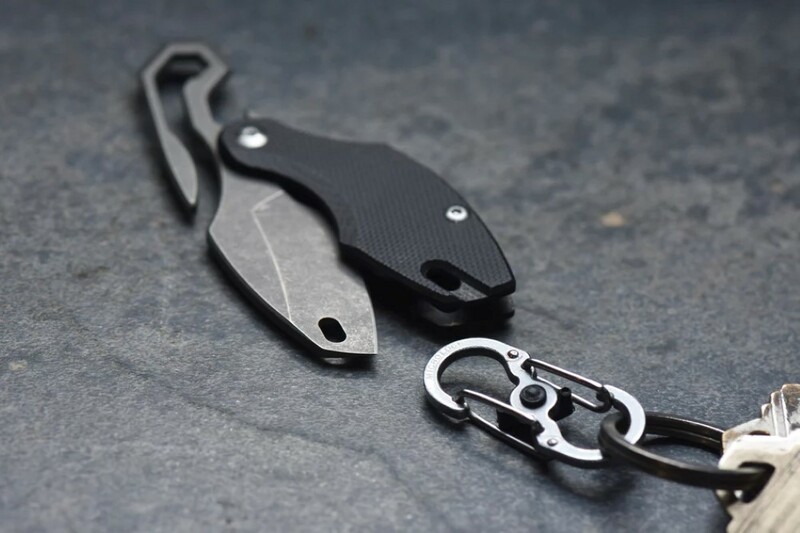 Each time I see a new multitool EDC, I’m convinced that there’s no such thing as too many tools as long as the device remains portable. However, I’m now convinced that we’ve reached what I call “peak multitool”, and there’s no getting better or moving forward from here. 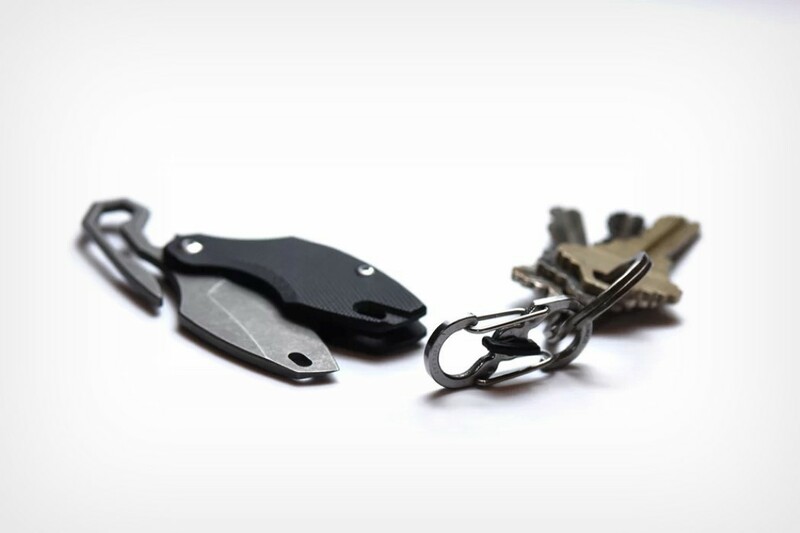 The Union by Toler Tools is a pocket-sized product that puts tools into your pocket that you didn’t previously think were possible. 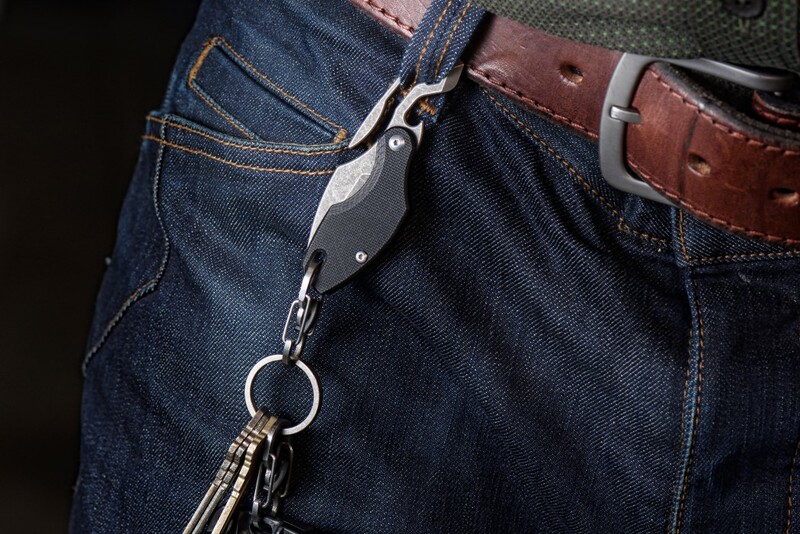 It has an adjustable wrench, a screwdriver with multiple heads, a pair of pliers with a built-in wirecutter, a miniature handsaw that cuts through metal, and a pocket knife… in a size that fits basically most of your toolshed right into your pocket. 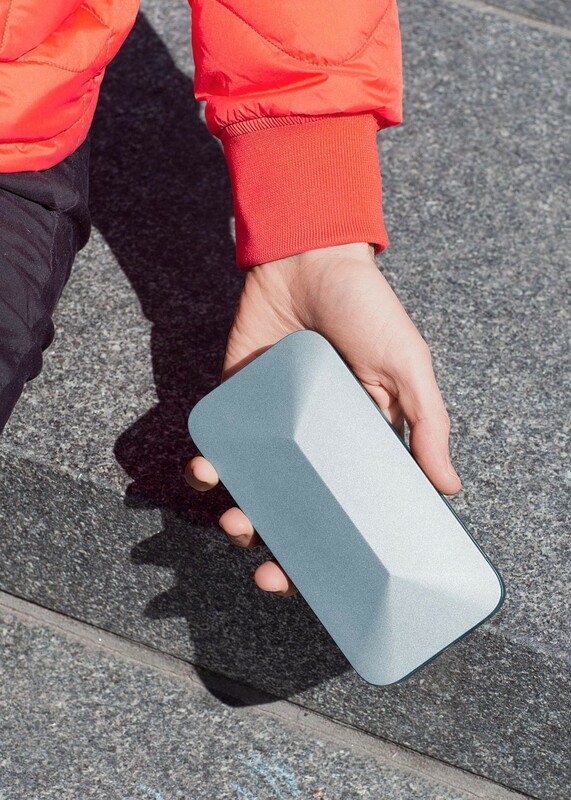 Designed with unprecedented range and ability, the Union is a traveling toolshed. The patent-pending Omnilock wrench allows you to get into tough places and lets you handle a range of sizes easily and quickly. 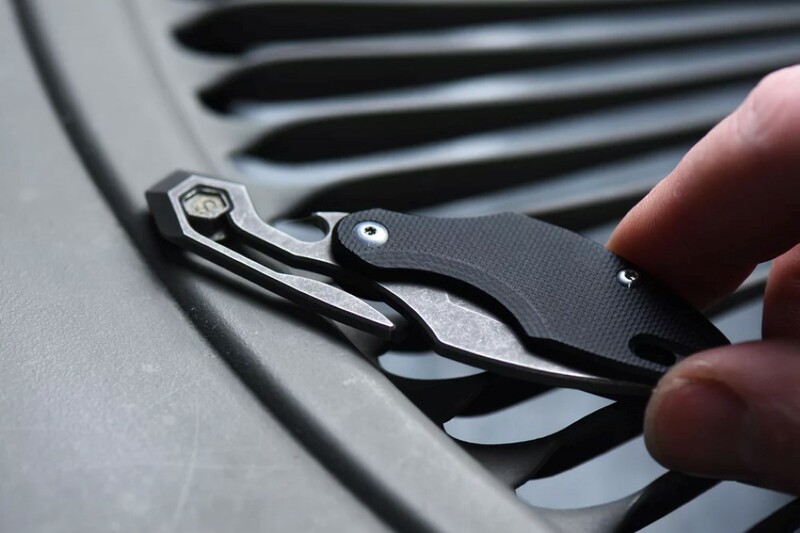 Using self-adjusting and ratcheting mechanisms, the wrench securely tightens around nuts and bolts, giving you all the grip you need to tighten loose bolts anywhere. 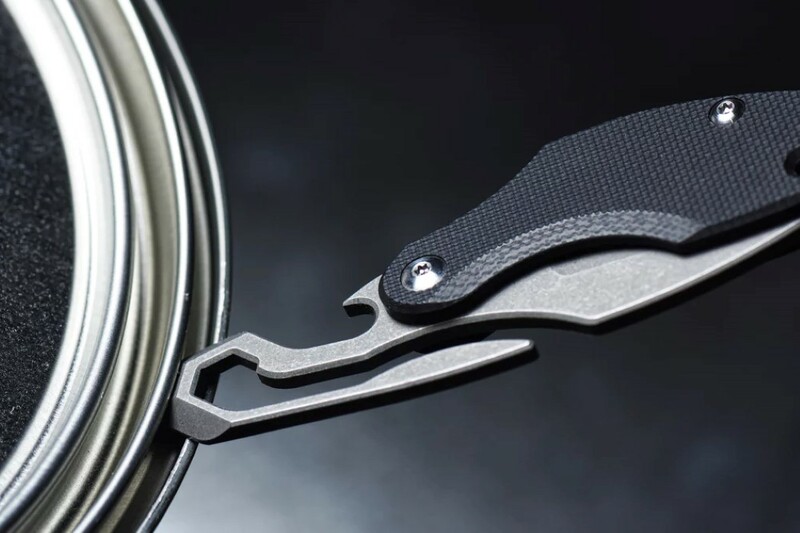 The Union sports a two-part design that allows you to detach the pliers unit from the wrench for further precision, holding onto parts with one hand while tightening them with the other. Also built into it is a screwdriver with four interchangeable heads. 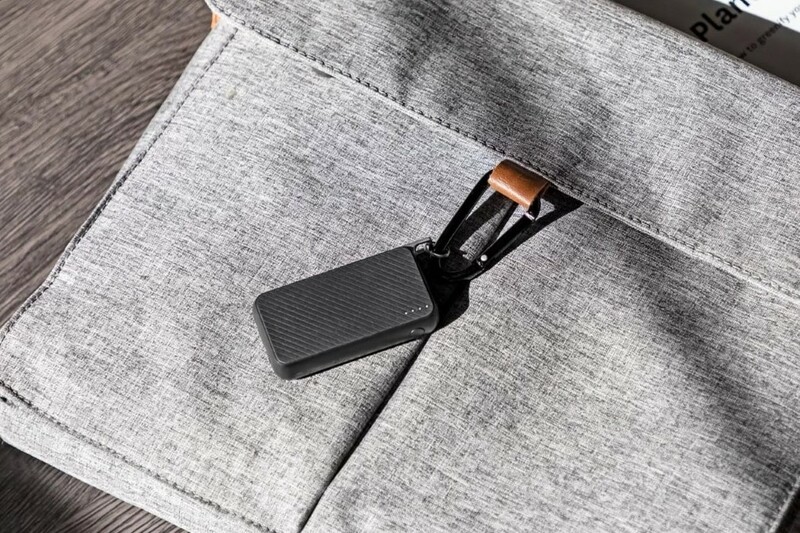 The driver itself is detachable and can be attached to either piece (the wrench or the plier) depending on your needs, and even docks sideways too, giving you a T-grip for screws that are exceptionally tough to loosen or tighten. Docked inside the Union’s body are also interchangeable heads, with one flathead, two Phillips heads, and an Allen head, giving you control over a wide variety of fairly popular screws. 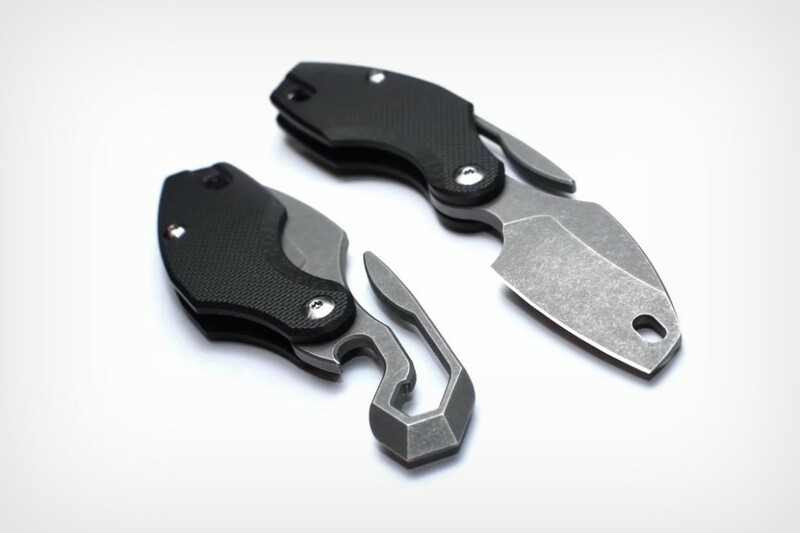 When all’s said and done, the Union packs two blades too, as is fairly common with multitools. 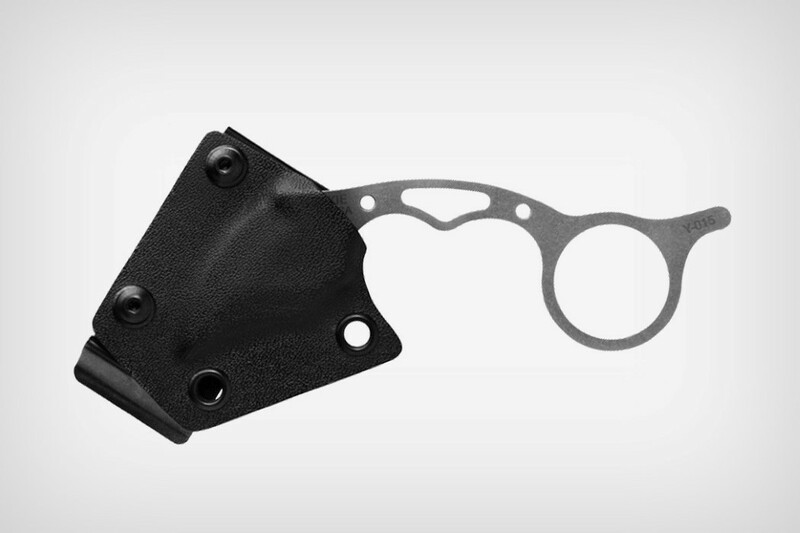 A handsaw blade, made from heat-treated D2 steel, comes with a serrated edge that can cleanly slice through wood or even metal, and a 3.125″ pocket-knife blade lets you cut and slice through regular items, opening boxes, cutting cords, etc. 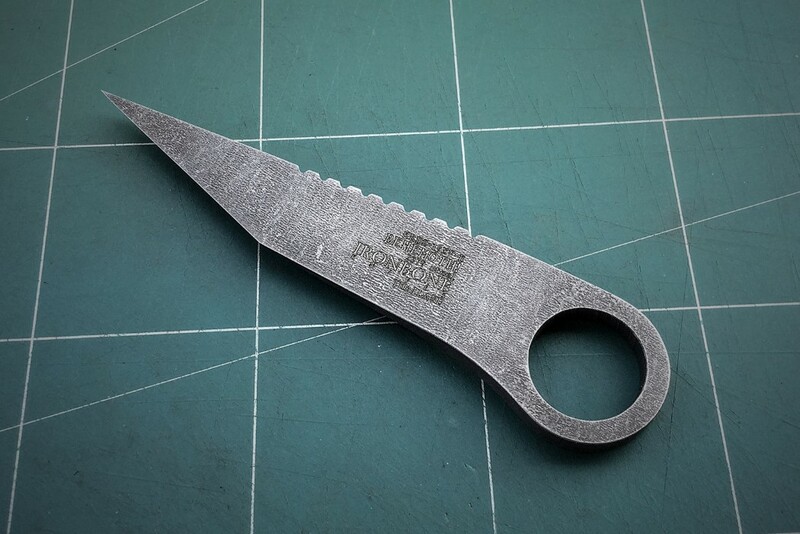 This unusual combination of tools (especially with the remarkable self-adjusting wrench) compressed into a product smaller than your smartphone is pretty much what gives the Union its incredible competitive edge. 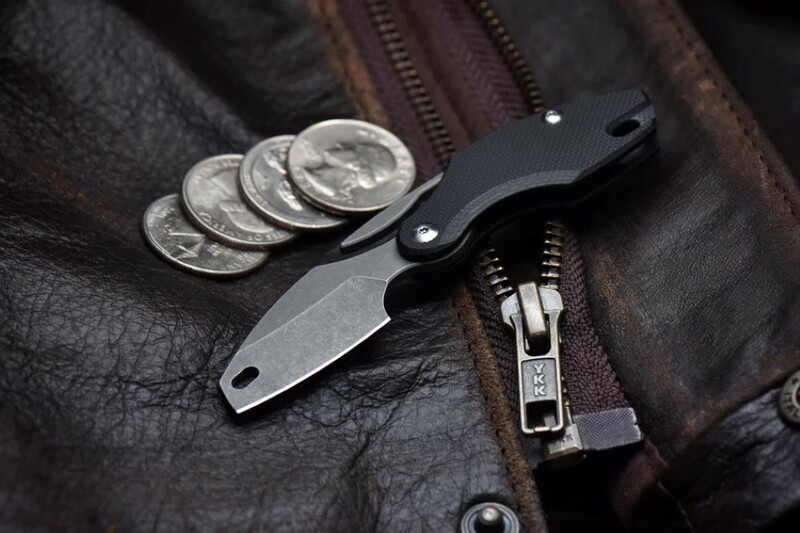 on the more functional, get-hands-dirty side of the EDC spectrum, the Union isn’t just a regular multitool. 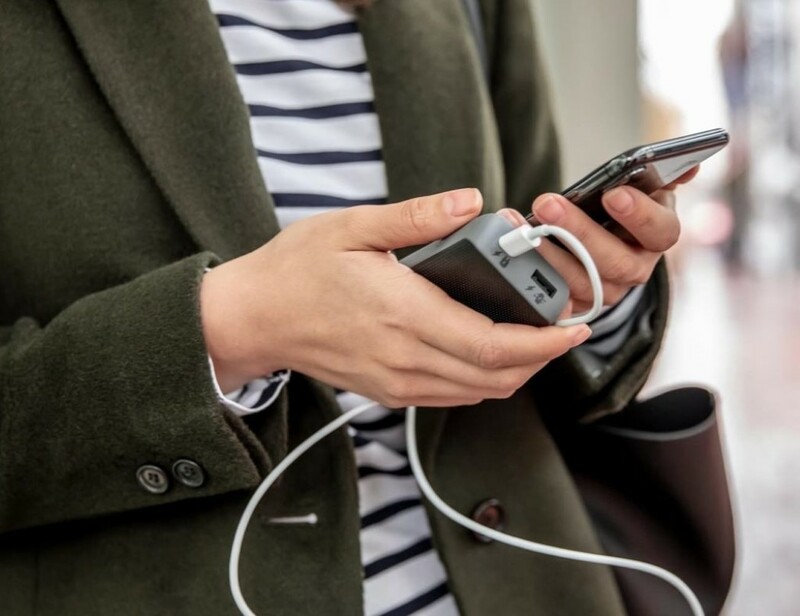 It’s an all-out, portable, hardware solution! Click Here to Buy Now: $98 $149 (34% Off). Hurry, less than 72 hours left! Click Here to Buy Now: $98 $149 (34% Off) Hurry, less than 72 hours left! 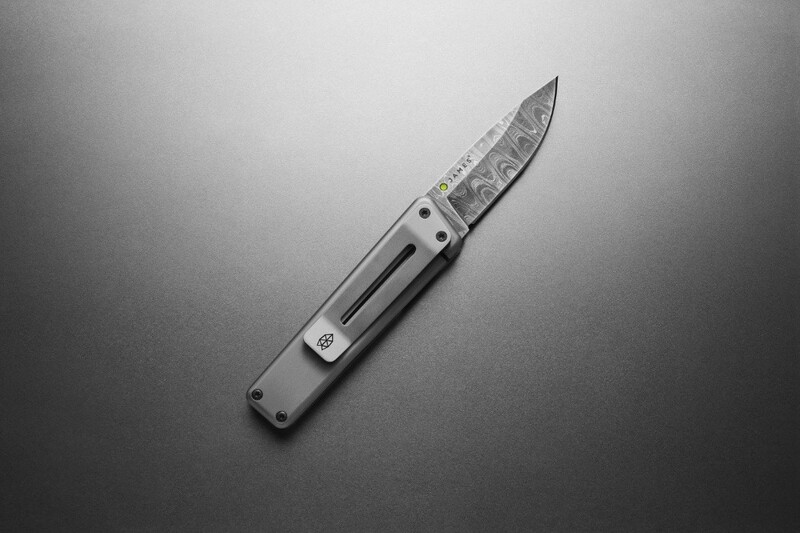 Barring the pivot and the two screws that hold the handle and blade together, the Boker Merlin is entirely made from the legendary marbled metal. 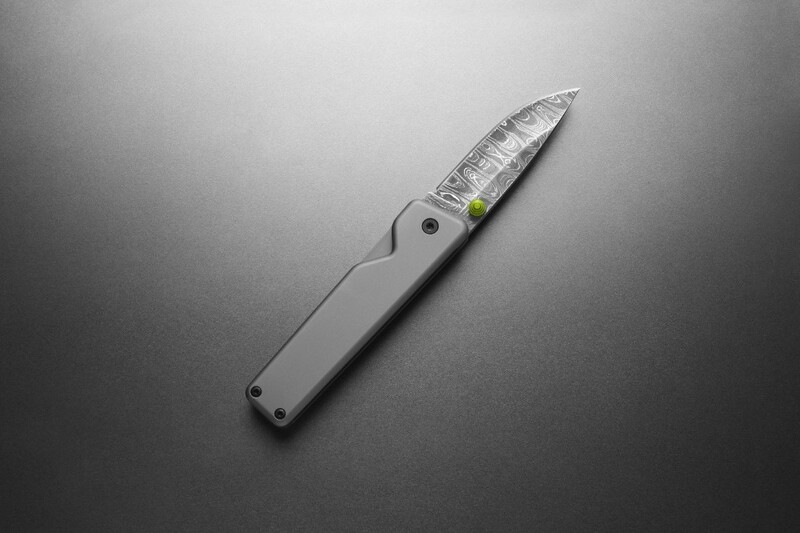 Created as a special edition, the variant is based off one of Boker’s classic designs by Wilfried Gorski. 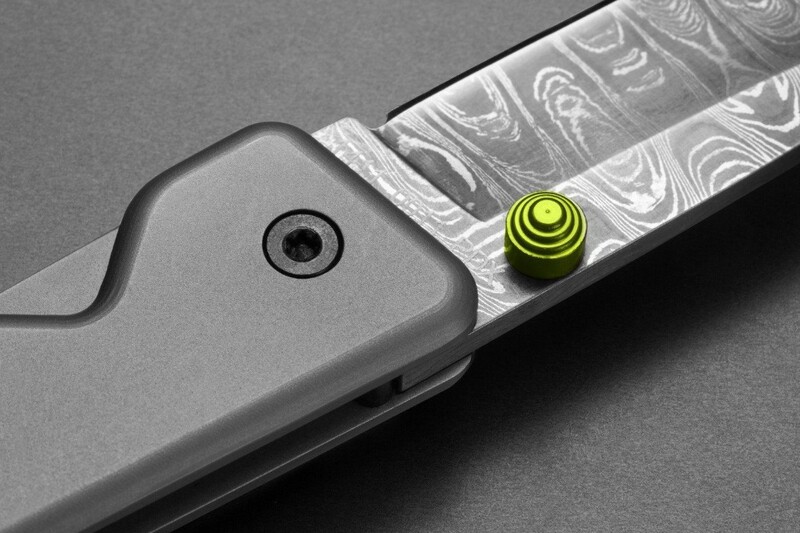 Partnering with Chad Nichols, a trained steel-smith who’s perfected the art of making corrosion-resistant Damascus Steel, Boker spared quite literally no effort by building every component of the knife from the marbled metal, right from the blade to the handle, to even the back spacer and interlock slider. 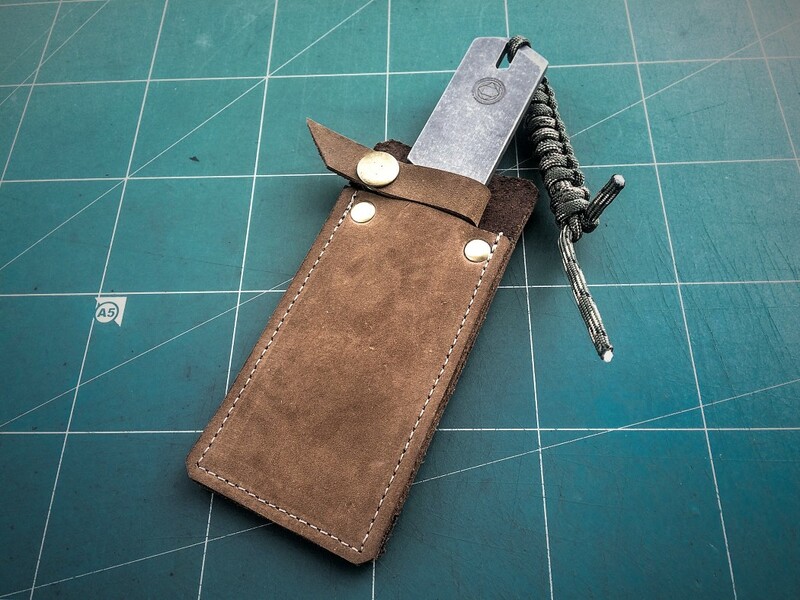 The result is a fairly classic and light-weight pocket knife that’s completely stunning to look at and one-of-a-kind. 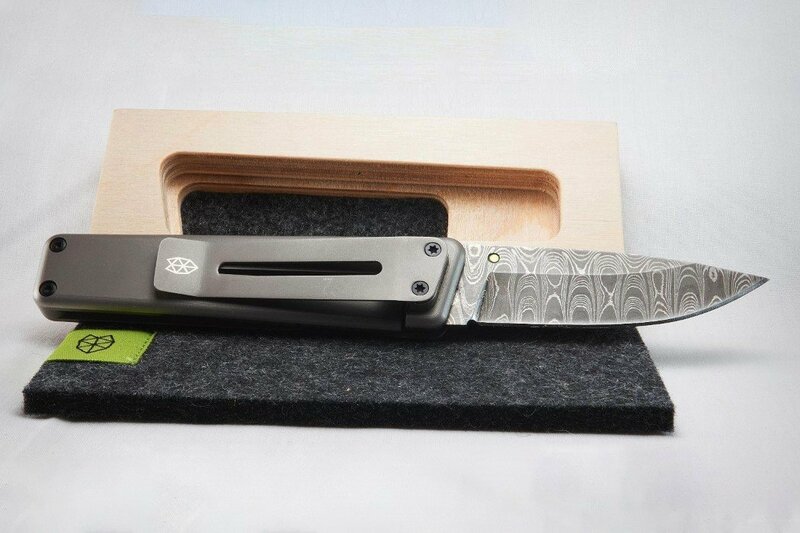 Limited to just 398 pieces (199 for USA and 199 for Europe), each knife comes with a certificate of authenticity, a unique serial number, and a pretty hefty price tag, but where else would you find a 100% Damascus Steel knife? 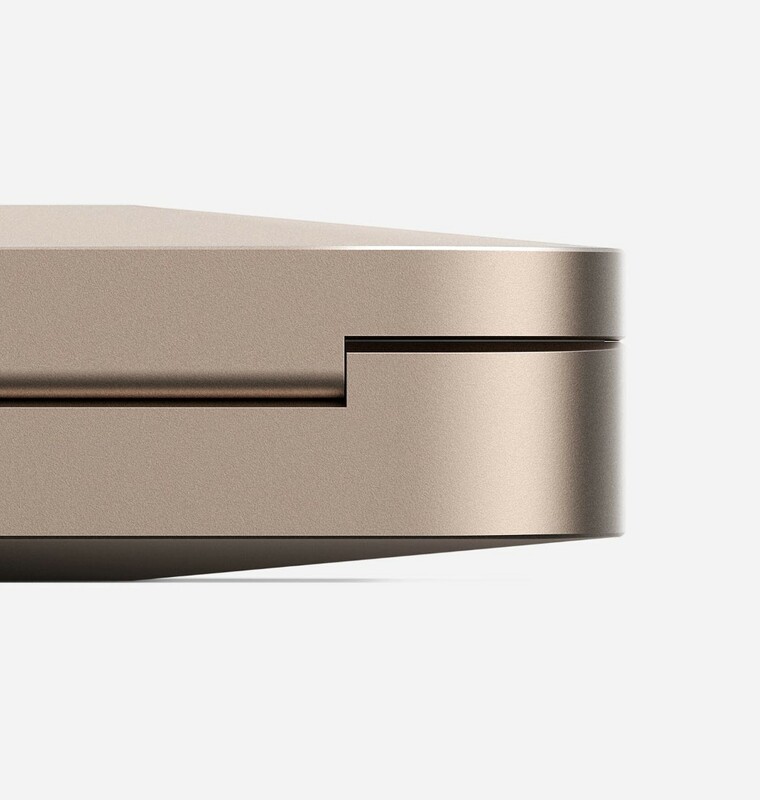 Form follows function, as the saying goes, right? 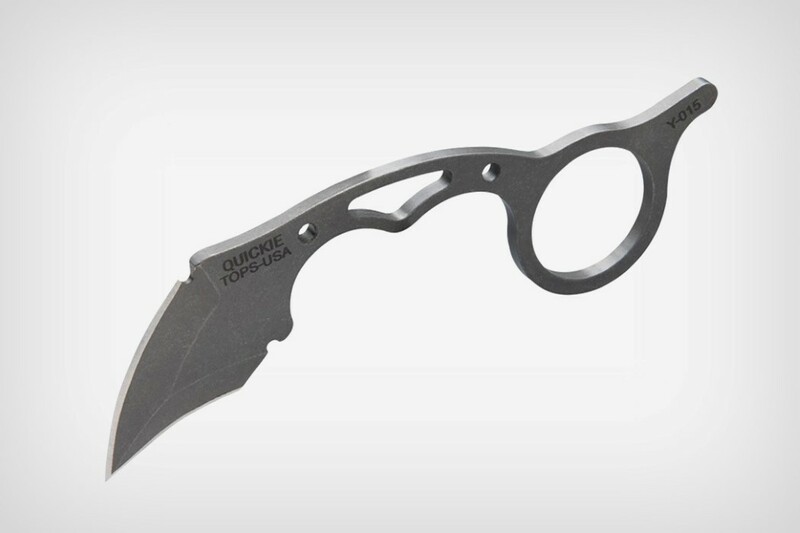 The Quickie Karambit by TOPS exploits that adage in a way that gives it quite a visual advantage. 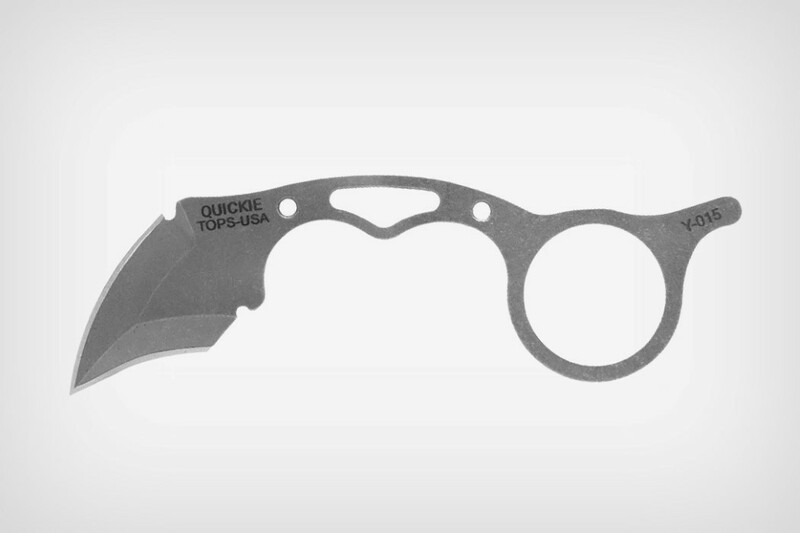 Unlike most knives with thick, grippable grips and long, sharp blades, the Quickie keeps things short and sweet. The Quickie doesn’t give you a handle to grip onto, but rather fills the negative space of your hand when you close your fingers into a fist. 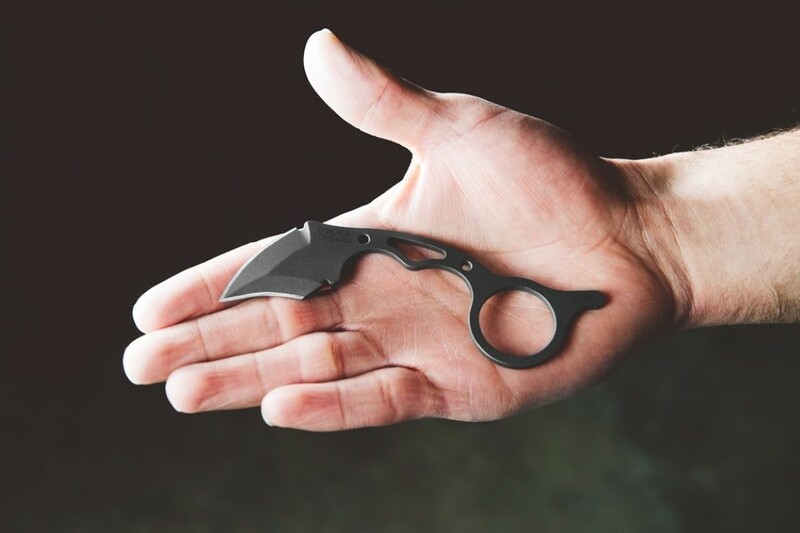 This gives you a sense of comfort as you hold the blade, while also resulting in a karambit that’s unsettlingly thin, but just as effective. 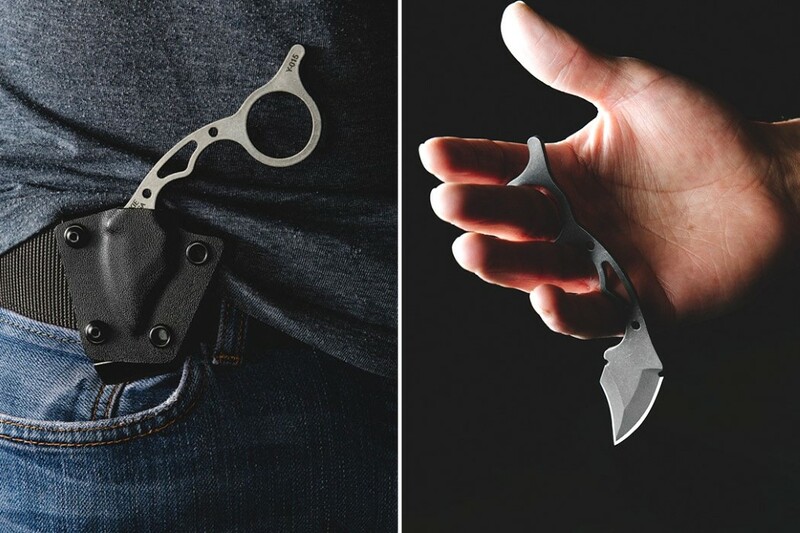 The Quickie also comes with an index finger ring that lets you hold the knife properly, and a two-edged talon-shaped blade that’s characteristic of Karambit designs. 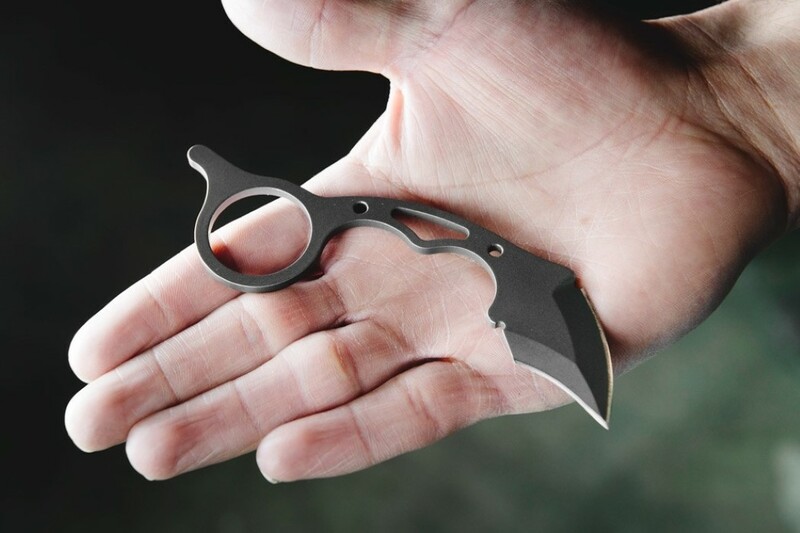 The Karambit, originally believed to be developed in West Sumatra, takes inspiration from the claws of a tiger. As with most weapons of the region, it was originally an agricultural implement designed to rake roots, gather threshing and plant rice in most of Southeast Asia. It also worked as a self-defense weapon against predators or in combat. 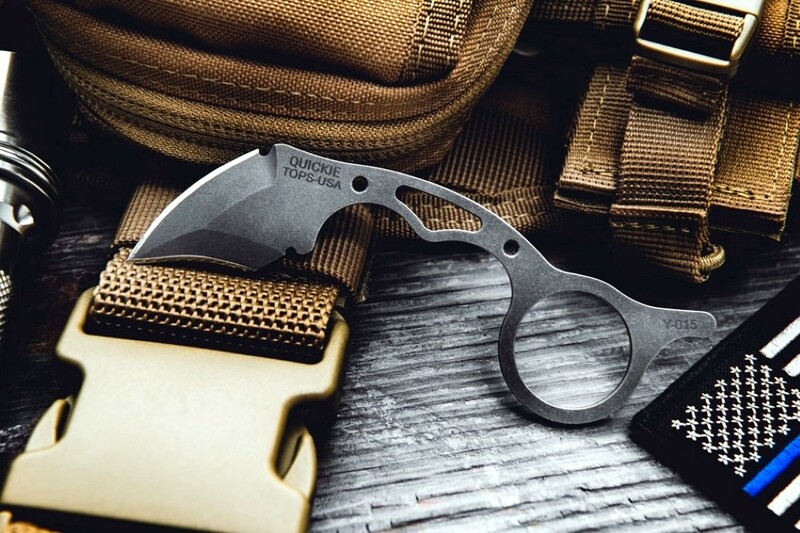 The modern karambit falls under the category of EDC, being used for cutting, shredding, and raking in the outdoors. 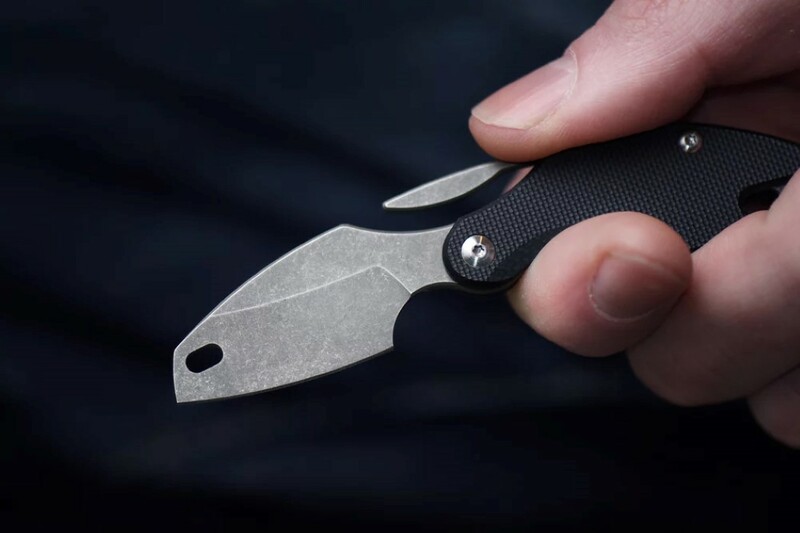 The Quickie, built for utility, enables all sorts of outdoor cutting activities, and even comes with a neat sheathe to cover the blade when not in use! 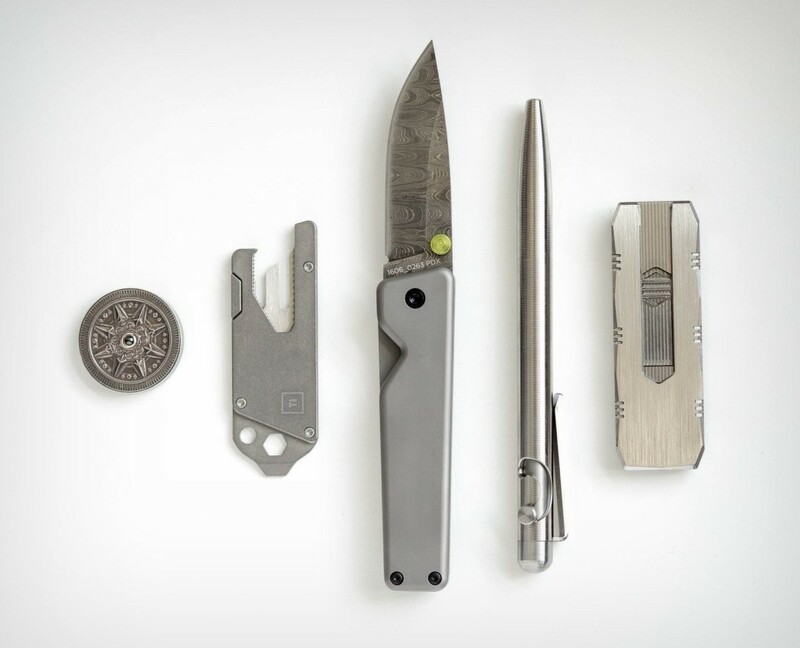 I believe the term ‘one of a kind’ is the most appropriate to describe Det Tidkun’s work because he only makes one prototype of each of his knives. 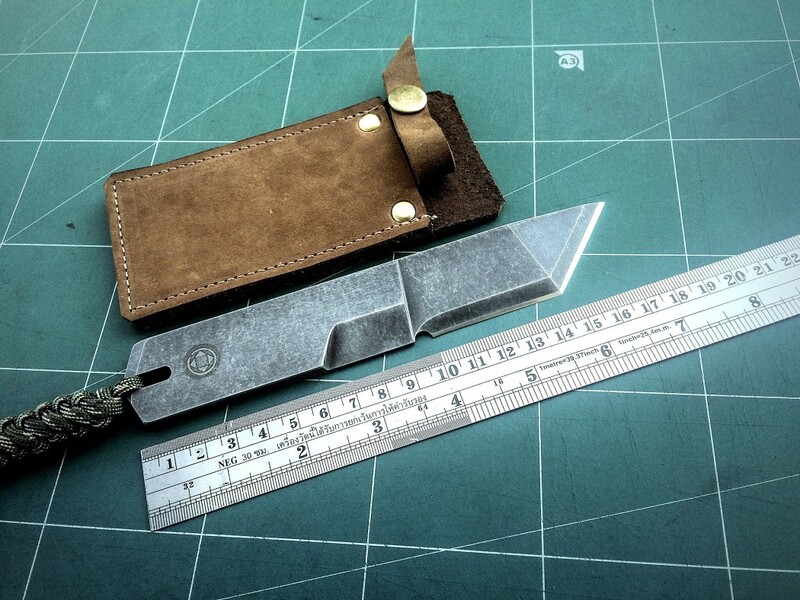 Made as a super-limited-edition, the Behemoth is one of Tidkun’s many knife designs that get showcased and finally sold on his Etsy page under the moniker Ironbone knives. A craftsman from Thailand, Tidkun makes all his knives by hand, only using power tools to craft and grind billets of steel down to the final product. 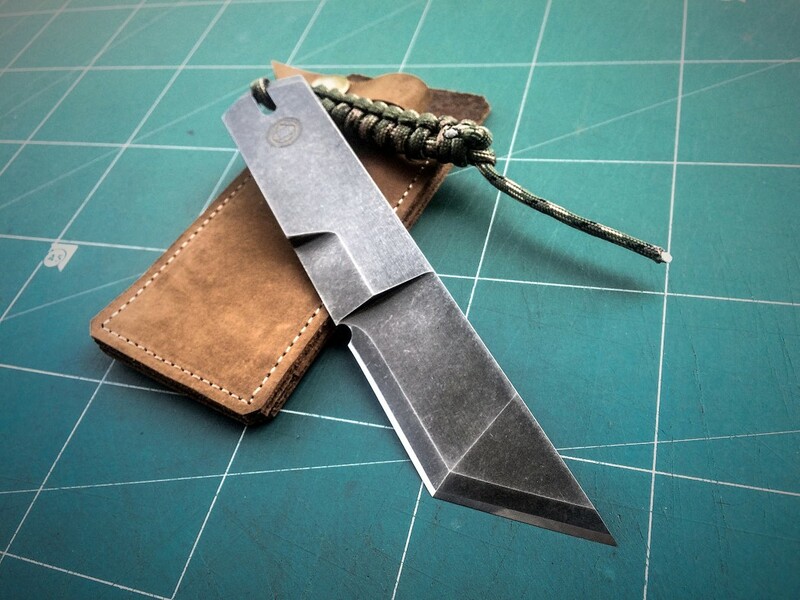 The Behemoth is one of Tidkun’s many kiridashi designs. 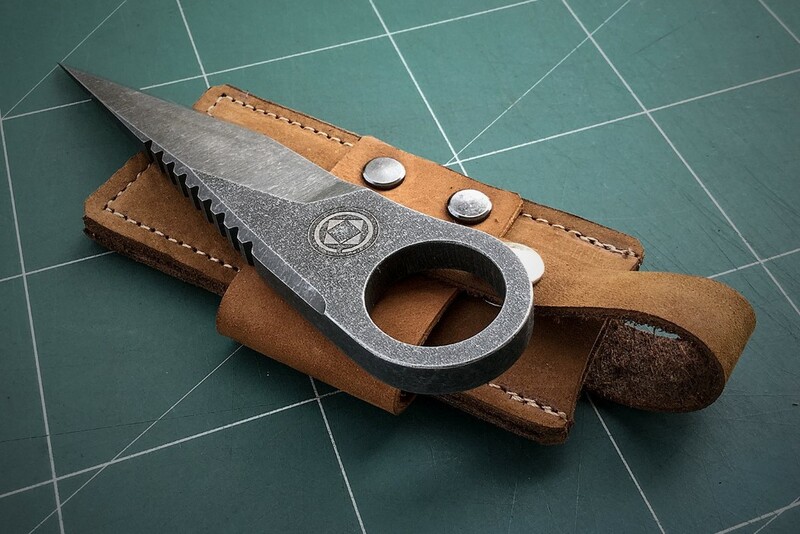 Made for the right-handed enthusiast, the Behemoth comes crafted from 2379 steel with a hardness of 60 HRC. 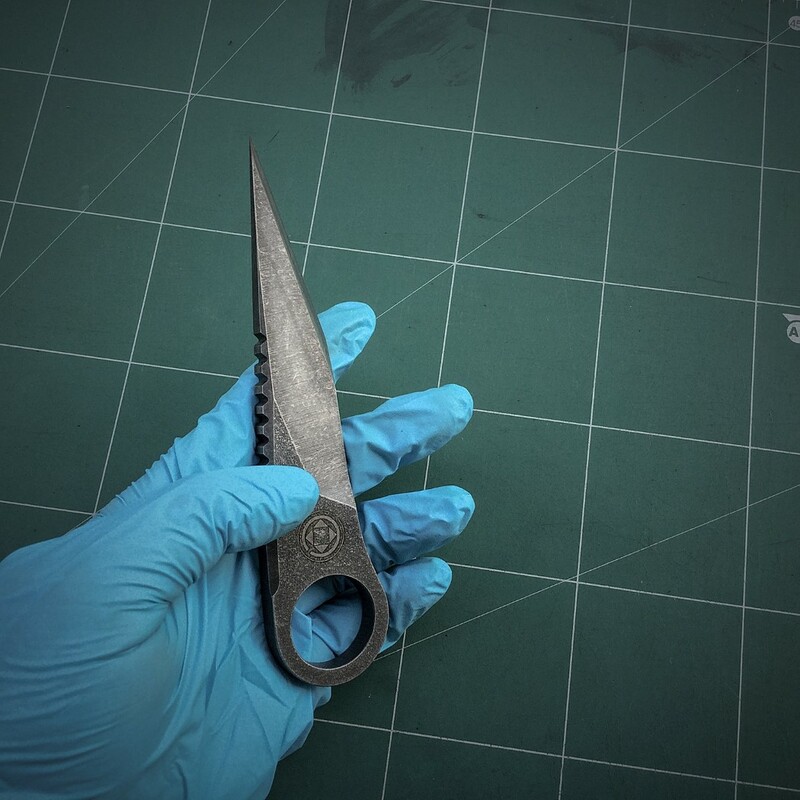 Water-jet-cut out of a single billet of steel before being ground to shape by hand, the Behemoth’s blade, like all good kiridashis, is small, sharp, and incredibly reliable. 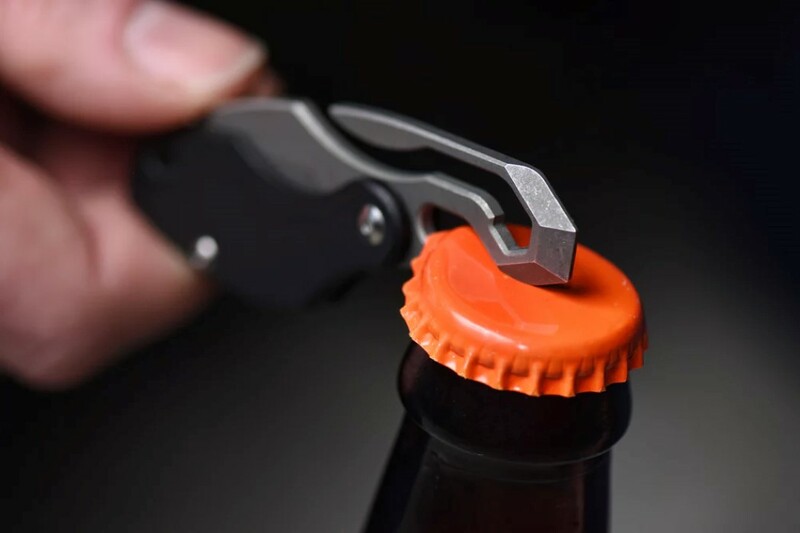 A rugged edge on the top lets you rest your thumb on the knife, giving it a gripping surface, and a ring at the end of the handle allows you to slip a finger in to grip it better. 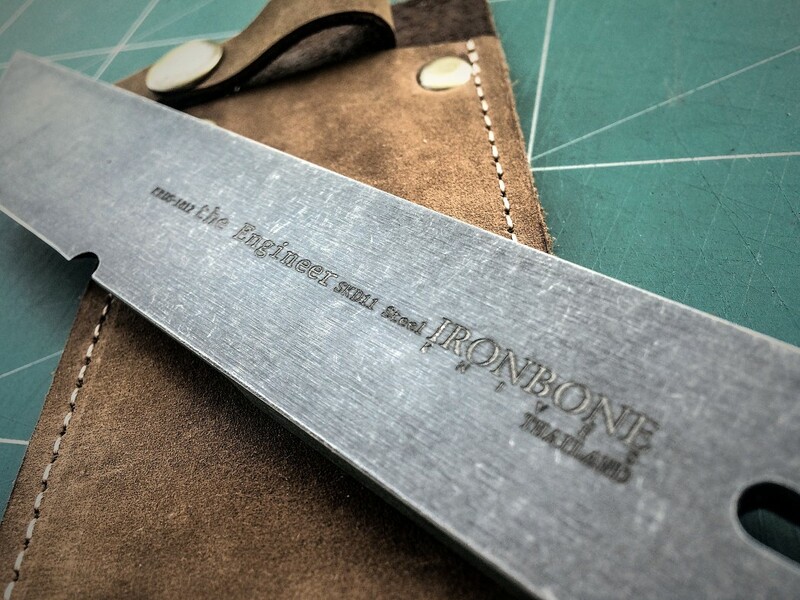 The Behemoth comes with a stone-washed finish that gives it its signature, rustic, hand-crafted style, and features the Ironbone insignia on the front, and branding on the back. 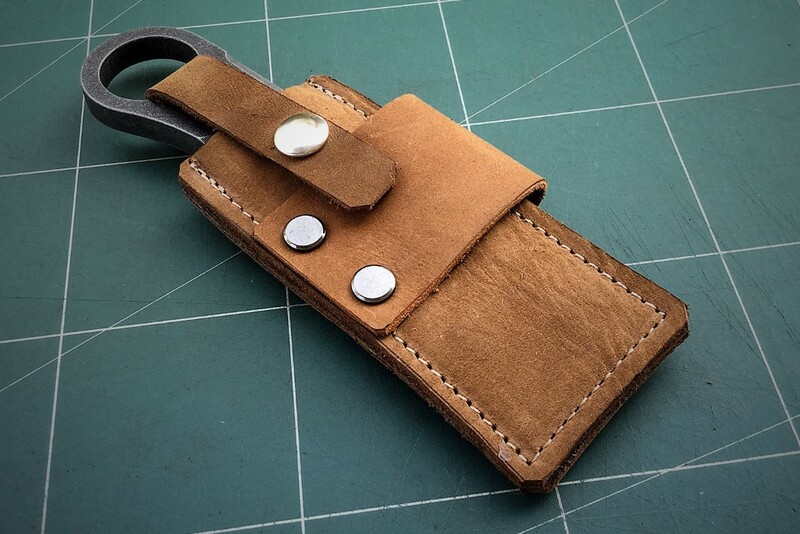 Paired with a nice hand-made leather case, the Behemoth is available on the Ironbone store, but if the past is any indication, it won’t be for long! The Chapter remains perhaps one of my most favorite knives ever. 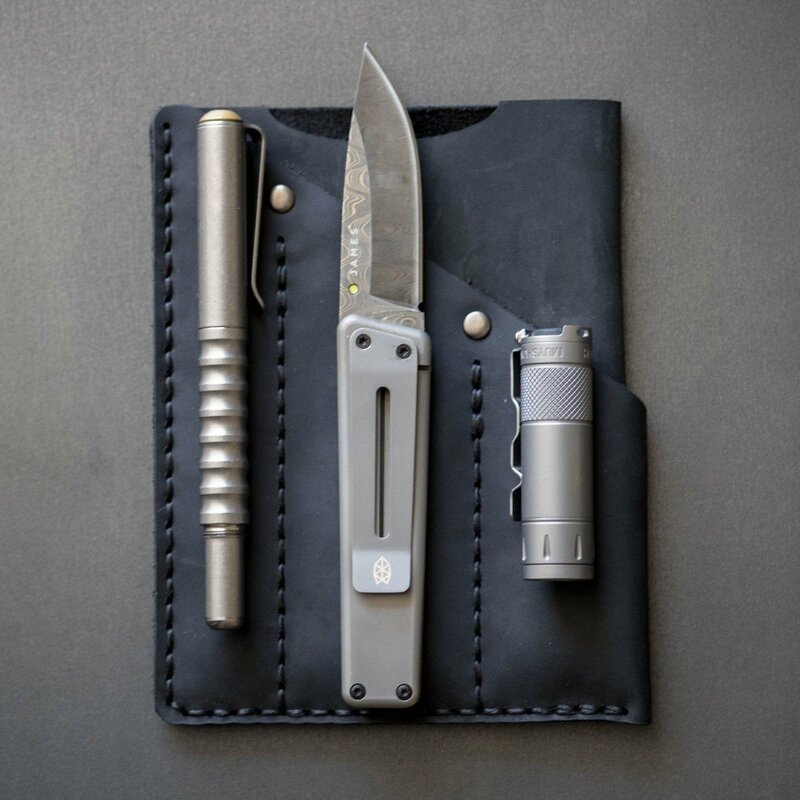 This is in part because they’re designed by The James Brand, a company that gets that sharp knives don’t need to look aggressive or tactical, and that they can channel a much more dapper aesthetic. 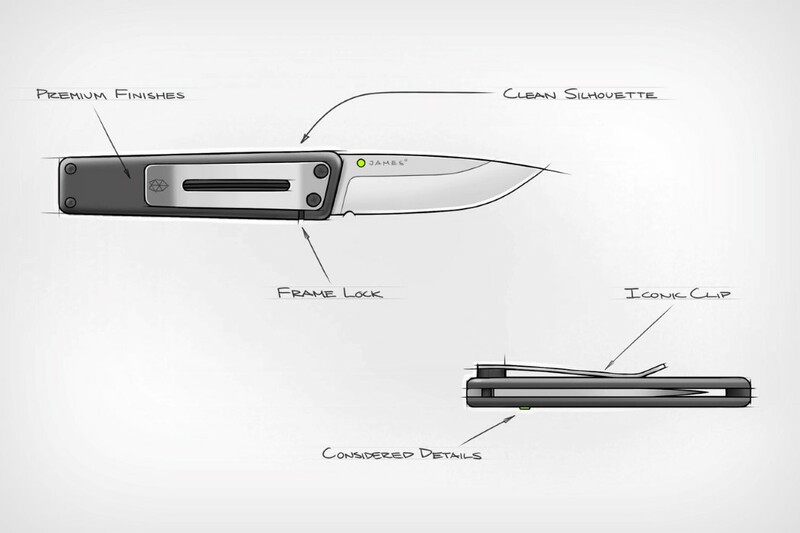 Their knives sport a much more classy, urbane design language, and look like something a secret spy like James Bond would carry in his tuxedo (that’s not why the company is called James Brand, but it would make a great story). The Chapter gets the distinction of being a knife I love sheerly for its simplicity. It doesn’t overdo any element, and everything is measured, collected, and ‘just right’. 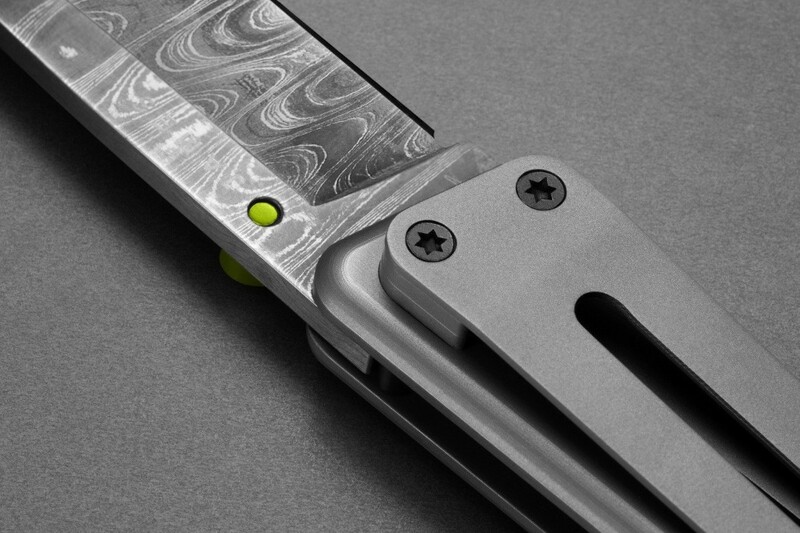 Then comes the Chapter’s Damascus Steel Edition, which somewhat feels like ‘classic’ meets ‘exotic’. 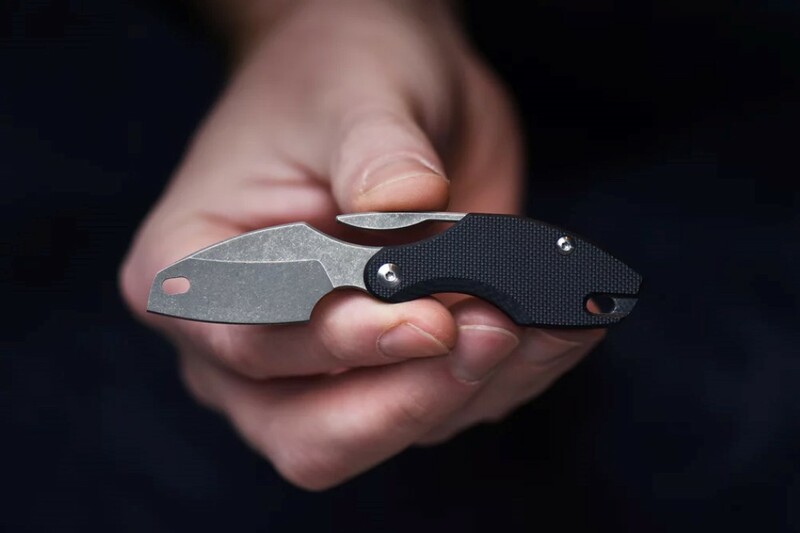 Encased in the black-oxide coated stainless steel casing with a titanium frame lock construction lies the blade, a drop-point straight blade made from Damascus steel. The drop-point makes the blade work wonderfully for piercing, while the blade’s straight edge works well for cutting and slicing. 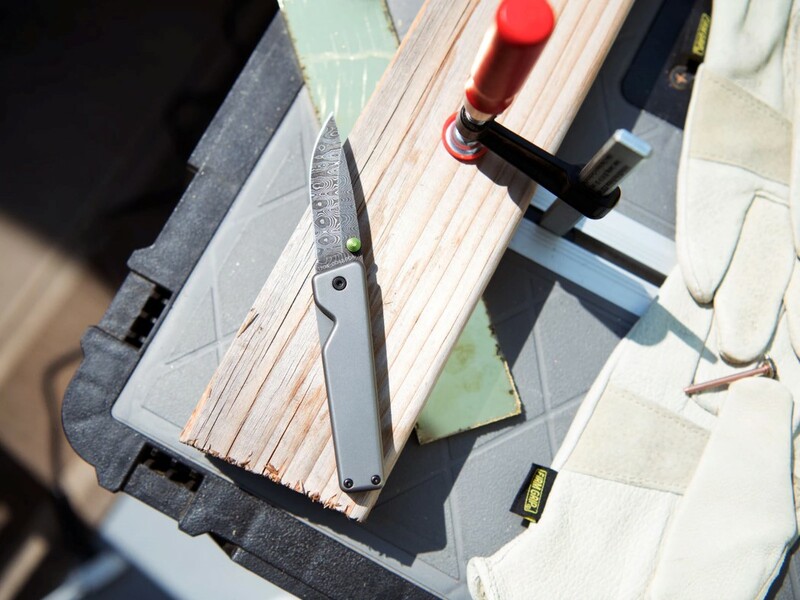 Sitting atop the stunning blade like a crown jewel is a lime green button that lets you deploy the blade from its folded position. 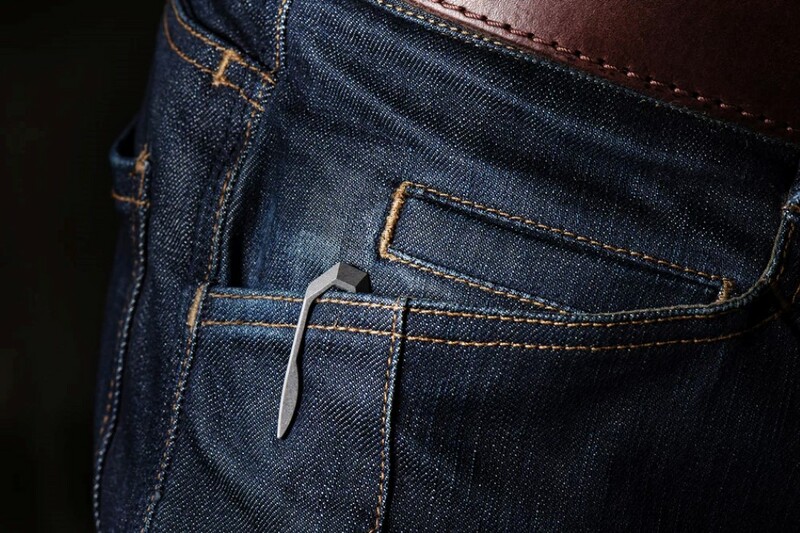 Measuring at just 3.75 inches when closed, the Chapter fits into pockets rather comfortably, and a pocket-clip secures it to your pocket fabric, keeping it easy to access whenever you need. Designed with the aesthetic that works wonderfully both indoors and outdoors, the Chapter Damascus Knife’s matte stainless steel casing tells one story, but flip the marbled, Damascus steel blade open and you’ve got a contrast that’s definitely worth admiring for years to come. 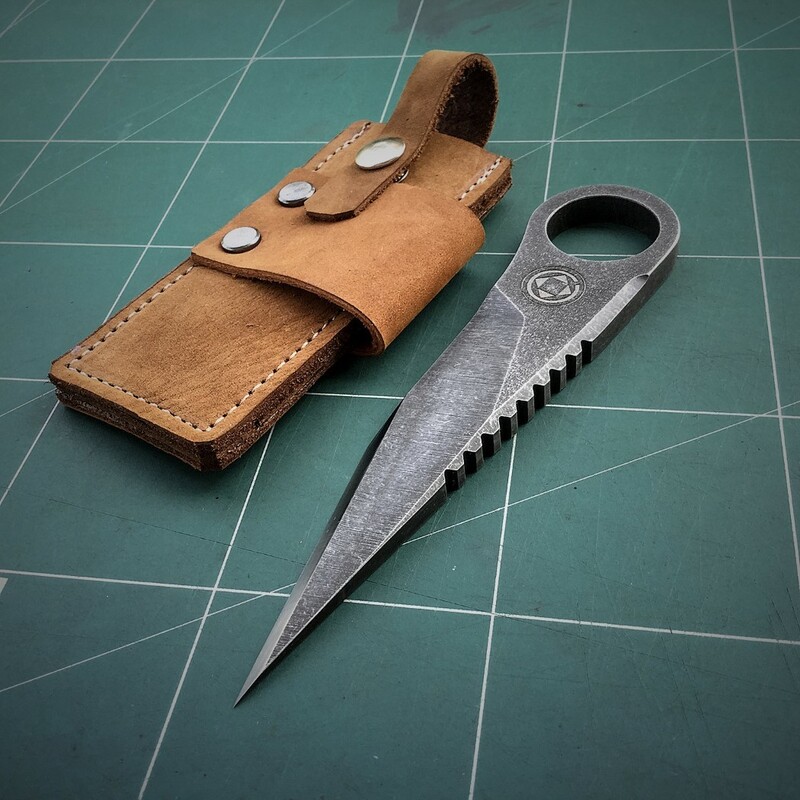 While most purists would claim that the Engineer Kiridashi is in fact, a tanto-style blade rather than a kiridashi blade, it forms a part of Det Tidkun’s series of handmade kiridashis. 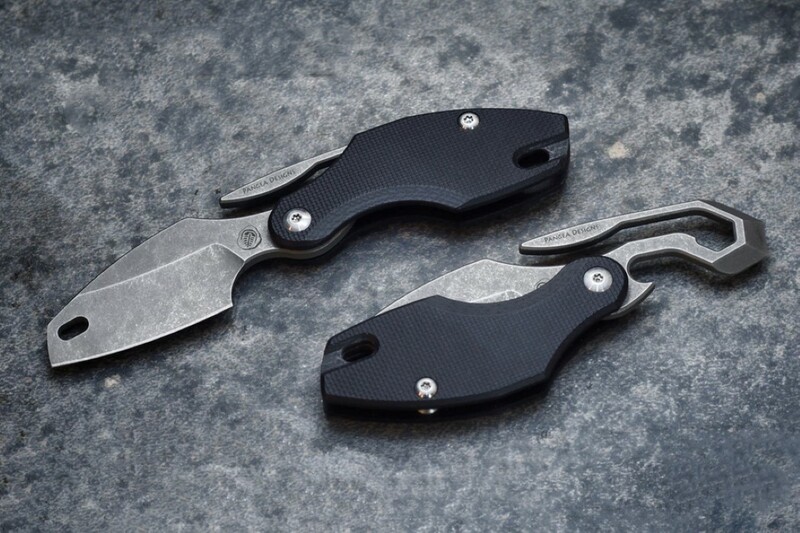 Tidkun, a Thailand based knife designer (known as Ironbone Knives on Etsy) often creates these marvelous beauties by hand, relying on power tools only when absolutely necessary. 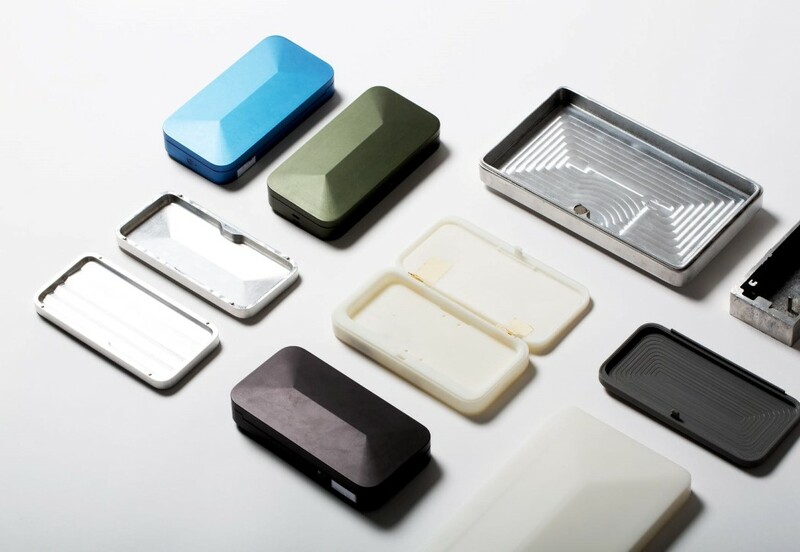 The knives are all made from SKD11 Steel, a tool steel that is known for its strength and ability to hold its sharpness for longer than traditional steel blades. 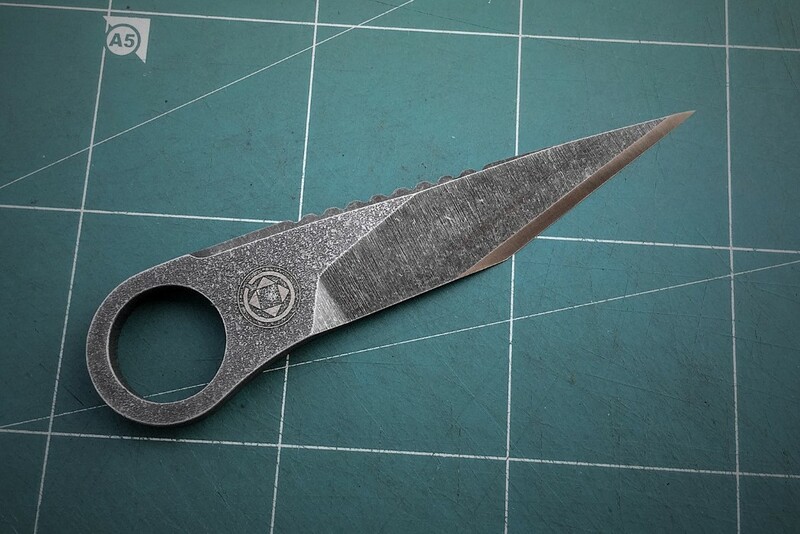 Tidkun takes individual billets of steel and cuts out the knife’s profile using a waterjet before manually grinding and shaping the knife by hand. 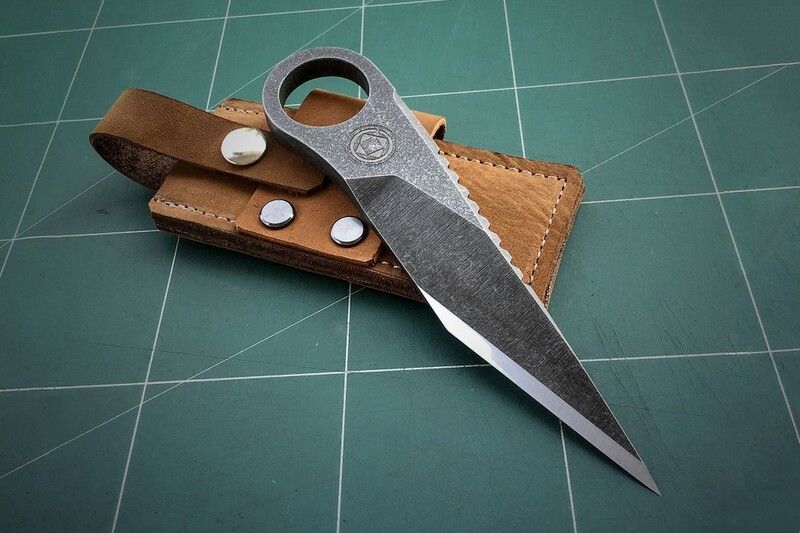 The blades are then stone-washed for a raw, rugged finish that complements Tidkun’s handiwork. 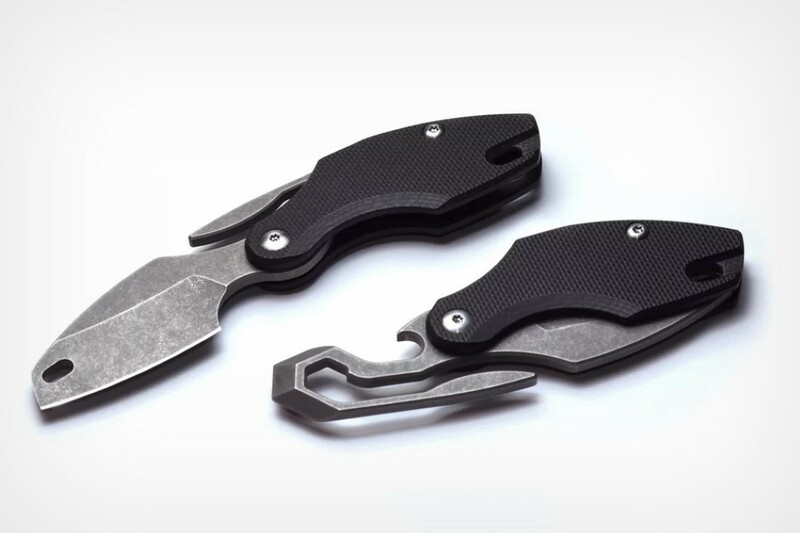 The Engineer Kiridashi comes with a tanto-style blade that comes with two sharp edges and a pointed end. 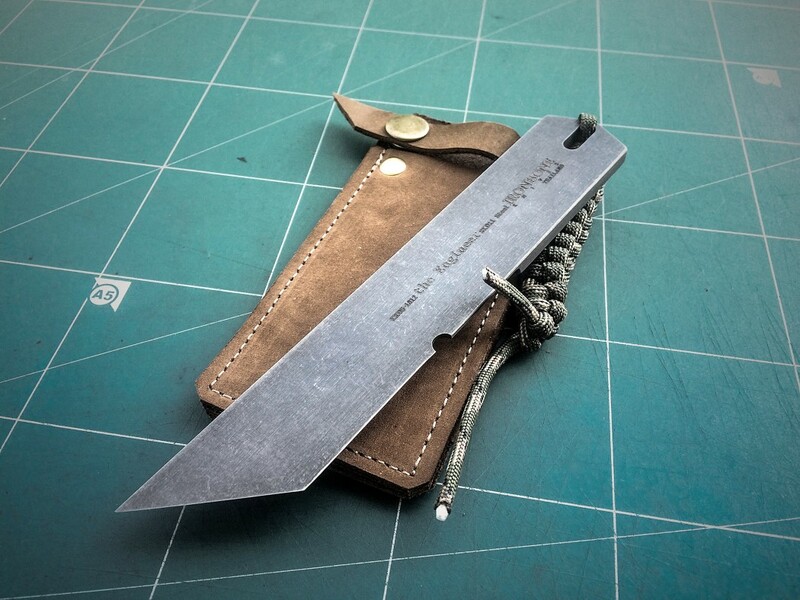 The Engineer, like most kiridashis, is an all-purpose knife, proving useful in most scenarios where cutting, slicing, piercing, and scouring are required. 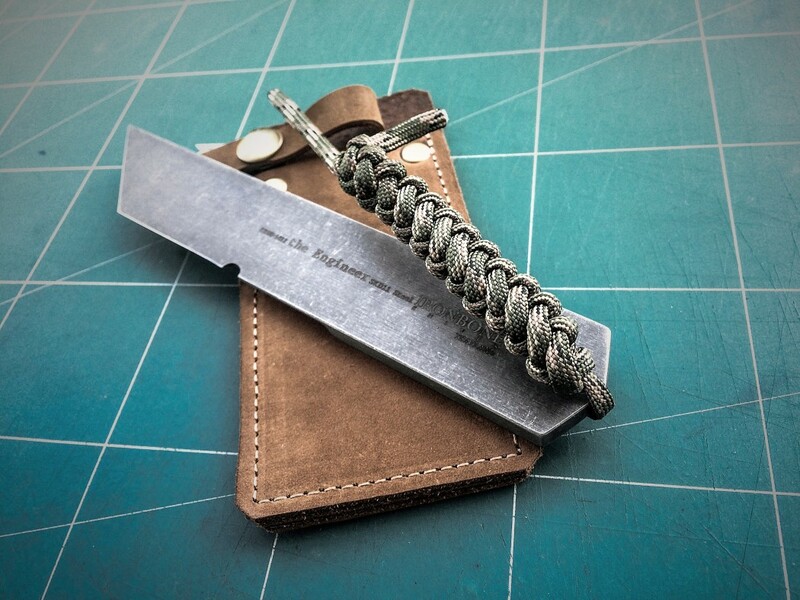 The blade even comes with a paracord and a leather sheathe to store it in!